California is one of the most active areas in America. Daily we search thousands of newspapers, press releases, user submissions to find these Checkpoint Locations. When a DUI Checkpoint is found within a 30 mile radius of your zip code an Alert will be sent to your Cell Phone via Text, and/or to your Email account. 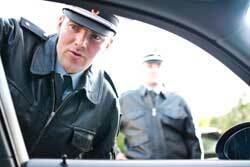 We have most complete and updated database of California Checkpoints, and we provide our past alerts as proof.